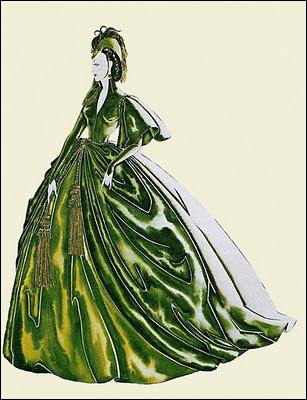 The green drapery gown made from Ellen O'Hara's green portiers by Scarlett O'Hara in order to visit Rhett Butler in jail was written about by Margaret Mitchell in her famous Pulitzer Prize winning novel Gone with the Wind. For the film, the dress was designed by Walter Plunkett and since then has become what is arguably the most iconic costume ever to grace the silver screen. 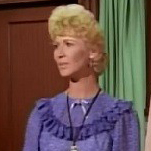 It was even parodied on The Carol Burnett show in a skit called Went with the Wind. 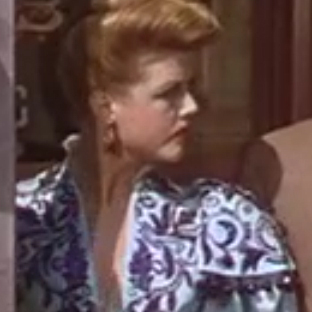 I am not aware of just how many copies of this gown were made. 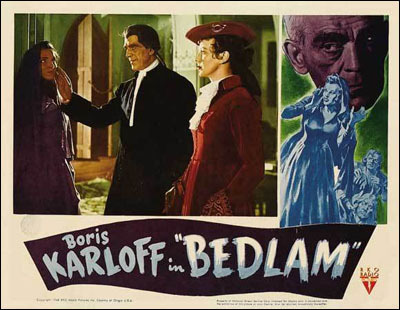 What is known, however is that one version went on to be heavily altered in order to be used used in a 1946 film called Bedlam (a fact that is apparently noted in the DVD commentary). The film is in black and white, and so the brilliant colour of the dress is not ever seen. Posters for the movie even have the dress incorrectly portrayed as being red. In the 80s, the Harry Ransom Center in Austin Texas aquired the archive of David O'Selznick and with it five of the gowns from Gone With the Wind. The dresses were, not surprisingly, in very fragile condition, and recently the center raised $30,000 to aid in the conservation of these historic pieces of cinema. To find more information on the gowns given to the Harry Ransom Center, you can visit their online exhibit here. To read more about the conservation work being done on the drapery dress, visit the Center's blog here. 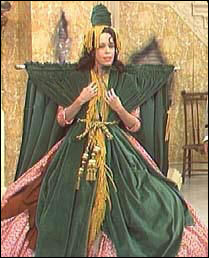 And lastly, to watch Carol Burnett's skit Went with the Wind, in which a parody of the gown (which has become iconic in its own right) makes an appearance, you can find it on youtube here.